London, Paris, 19 November 2018 – Eutelsat Communications (NYSE Euronext: ETL) has ordered two new satellites from Airbus Defence and Space to replace the three existing HOTBIRD satellites at its 13° East flagship neighbourhood. These all-electric high-power satellites are set to enter into service in 2022, serving Europe, the Middle East and North Africa. The new satellites will reinforce and enhance the high quality of broadcasting services provided to Eutelsat customers on HOTBIRD, providing improved performances over Western Europe and Poland. Moreover, the satellites will offer advanced features in terms of uplink signal protection and resilience, as well as exceptional in-orbit redundancy. With a launch mass of 4.5 tonnes and an electric power of 22 kW, the all-electric propulsion satellites will be based on Airbus Defence and Space’s innovative Eurostar Neo platform which will be produced, along with their high-performance payloads, in their UK facilities in Stevenage and Portsmouth as well as in their French facility in Toulouse. 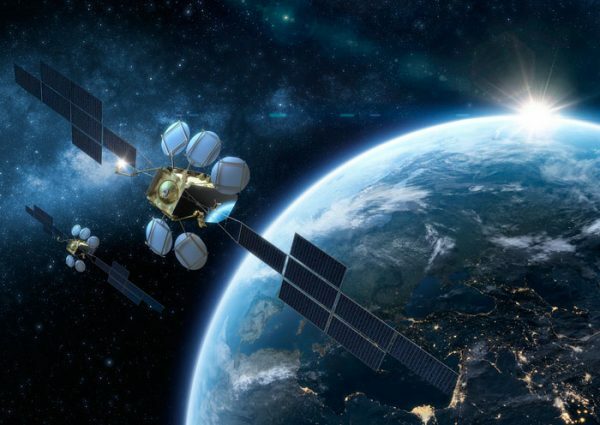 This state-of-the-art technology enables Eutelsat to replace the current constellation of three satellites by two, further enhancing the capex optimization achieved through the application of the design-to-cost policy. This procurement is fully covered by the company’s existing capex budget.